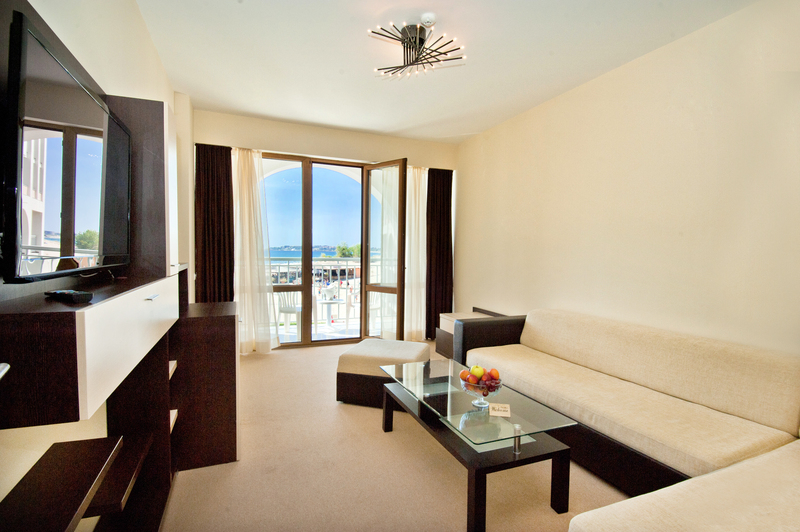 All one bedroom suites have direct view to the sea. There are a living room and a bedroom. Maximum accommodation – four adults or two adults with two children.